Developed by Irwin Chanin in 1929 - the Chanin Building is a brick and terra-cotta skyscraper located at 122 East 42nd Street, at the corner of Lexington Avenue in Midtown Manhattan New York City. The tower climbs 22 stories and then thins into a series of setbacks, reaching a total of 56 floors. The top of the building is a series of buttresses that are illuminated from the inside at night, lighting up the recesses in the crown. Materials such as bronze, Belgian marble and terra-cotta are used here in an inventive and exuberant way. This building property is known for its clean efficient office installations, with potential for a direct lease or an extension being common throughout. Moreover this particular building does offer the ability to lease full floor spaces in the tower floors - eaching enjoys 360 degree views of Manhattan and daylight exposure. As in keeping with modern asctetics most of the pre-built offices within commonly feature glass and wood finishes, perimeter offices, conference rooms and pantries. In opposition to that the building does grant the tenant a unique opportunity to take an expansive full-floor space and build it out to fit your image. Outside this property still stands as a high-visibility location, due in part to its striking componsition the eyes are immediately drawn to its unique façade. Today there are lease opportunities throughout the building ranging 1,500 square feet up to approximately 7,000 square feet all of which puts you at the center of the Grand Central business district and tranvel hub. Additionally the building is connected directly underground to Grand Central Terminal; which is a nice perk not commonly found elsewhere in the city. Awarded an Energy Star label in 2008, 2009, 2010, 2011, & 2012 - the Chanin Building continues to be a well maintained and forward thinking property. 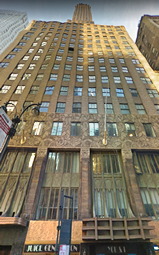 For more information on 122 East 42nd Street, contact a New York Office Space broker today. 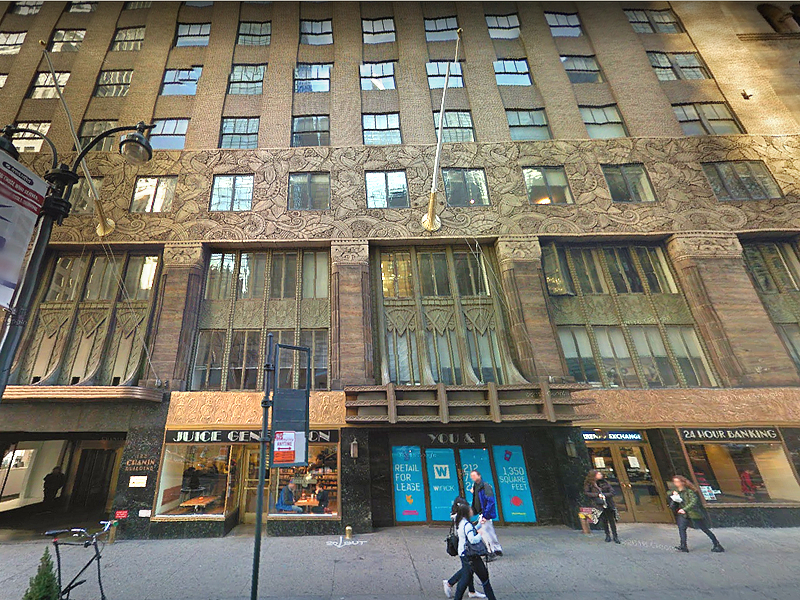 Total Building Size: 735,000 / 848,562SF. Lease Price Range: $59 to $75 per SF. Initially a dominant landmark in the midtown skyline the Chanin Building was the first major skyscraper erected in the central business hub. During that time there was a movement in America which has been intergated into the very stone of this building - the art and trim used are renowned world over and today stand as testiment to a time and era when no expense was too high and top artisan craftsmanship was the standard. Those details still speak to tenants & visitors today - some like those found in the lobby including the decor "City of Opportunity" and reliefs like the "Active Life of the Individual" and "Mental Life," all of which help lend that ideal of one man or woman's potential in a city like New York where anyone can achieve greatness through hard work and merit. The building was designated a New York City landmark in 1978, and was added to the National Register of Historic Places in 1980. Erected before the Chrysler Building directly adjacent across the street on 42nd and Lexington. During the intial years of the 1930's, this area of the city was very prestige and played host to a number of reputatble office addresses in which the midtown skyline was dominated by many spindly towers. Today some of those spires include One Grand Central Place, 500 Fifth Avenue, and 330 West 42nd Street (The McGraw Hill Building). IRT Lexington Avenue; Located on Lexington Avenue and stretching from 51st Street to 53rd Street. 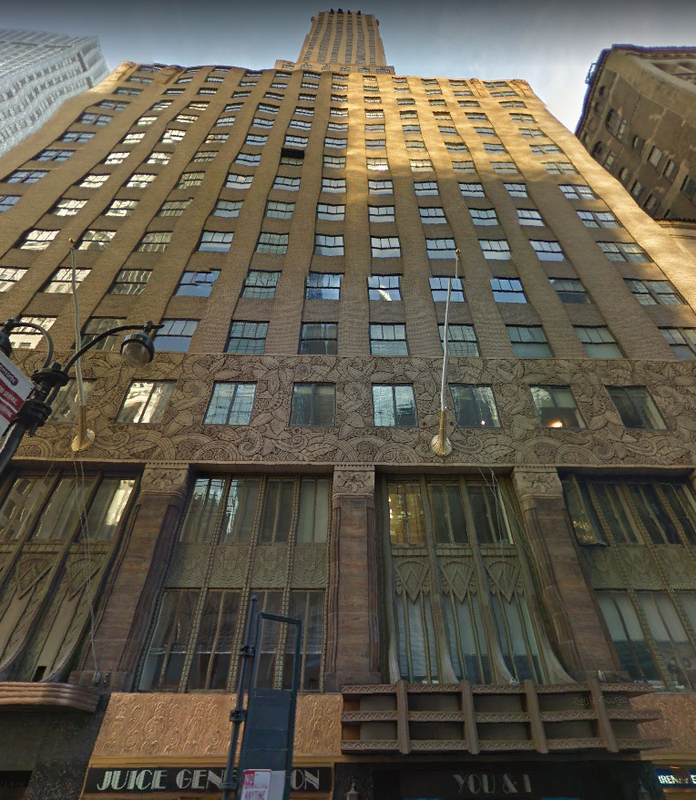 Rene Paul Chambellan (September 15, 1893 – November 29, 1955) was an American sculptor ... 1929 – Chanin Building, Sloan & Robertson architects, NYC.